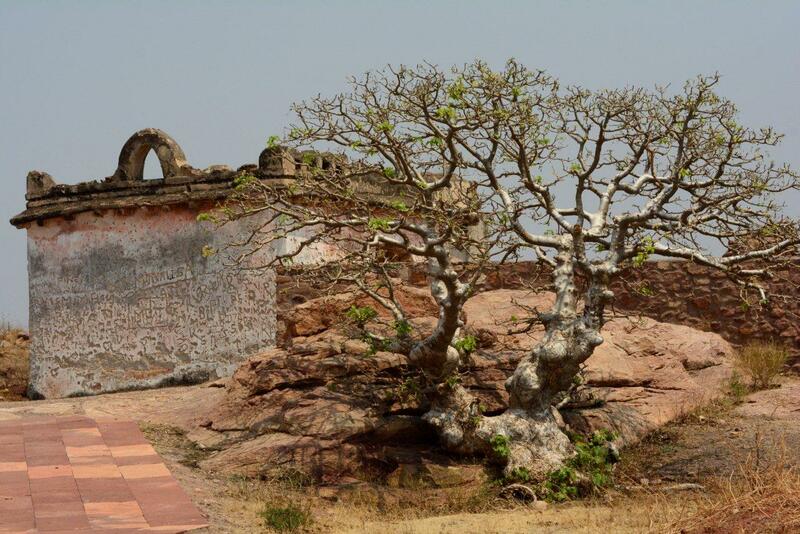 The first ruler of the Early Chalukya dynasty, Pulakesi I established a new capital for his kingdom sometime around 540 AD. This city was located at the mouth of steep ravine and initially was named Vatapi. 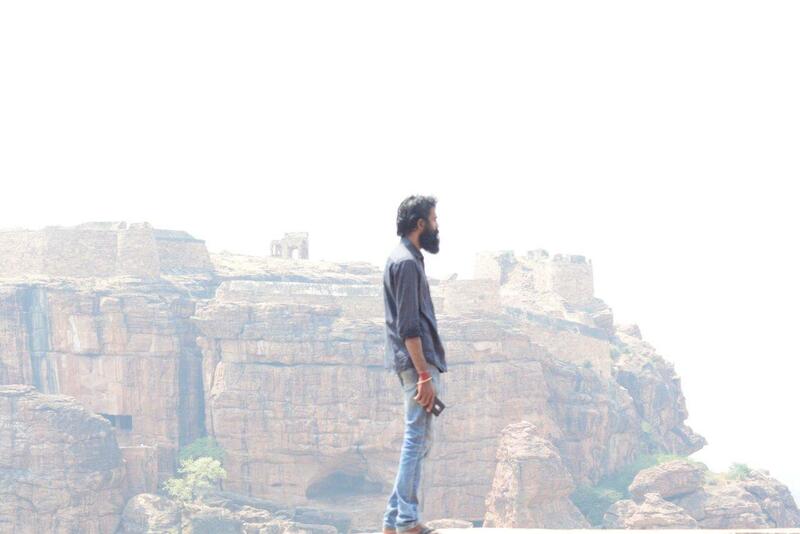 Nowadays it is known as Badami. 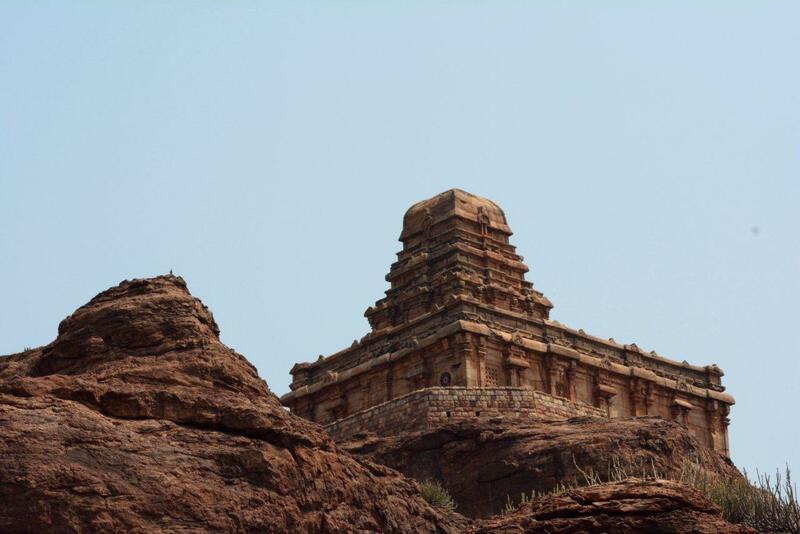 The four cave temples of Badami were built by the son of Pulakesi I – Kirthivarman (ruled in 567 – 598 AD) and his brother Mangalesha I (ruled in 598 – 610 AD). 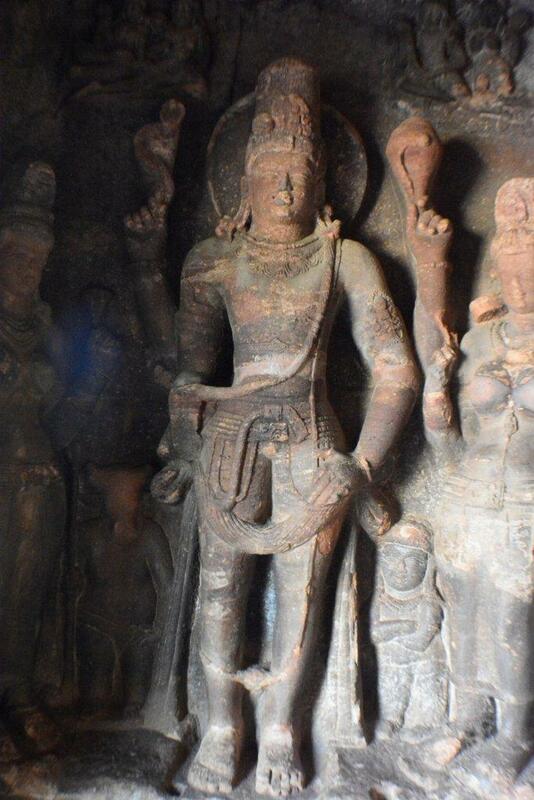 One cave is devoted to Shiva, two – to Vishnu. 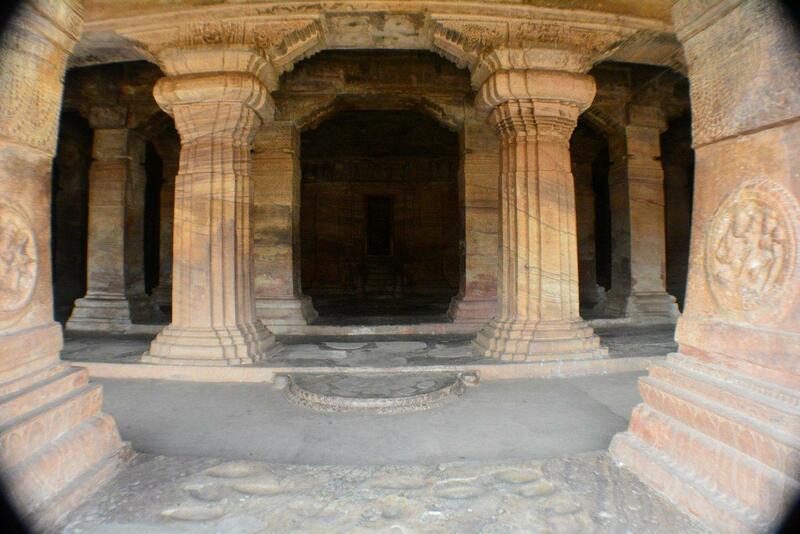 Fourth cave is Jain temple. 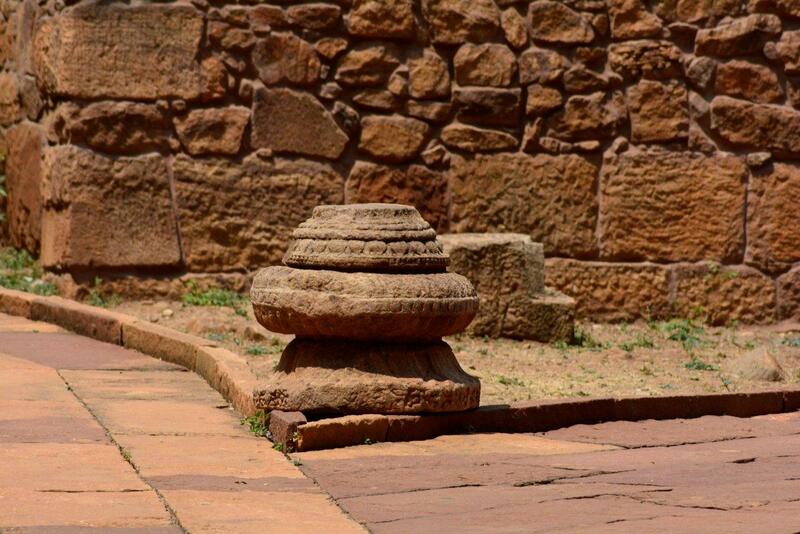 Thus Chalukyas, just like several other successful dynasties of Ancient India, demonstrated religious tolerance. 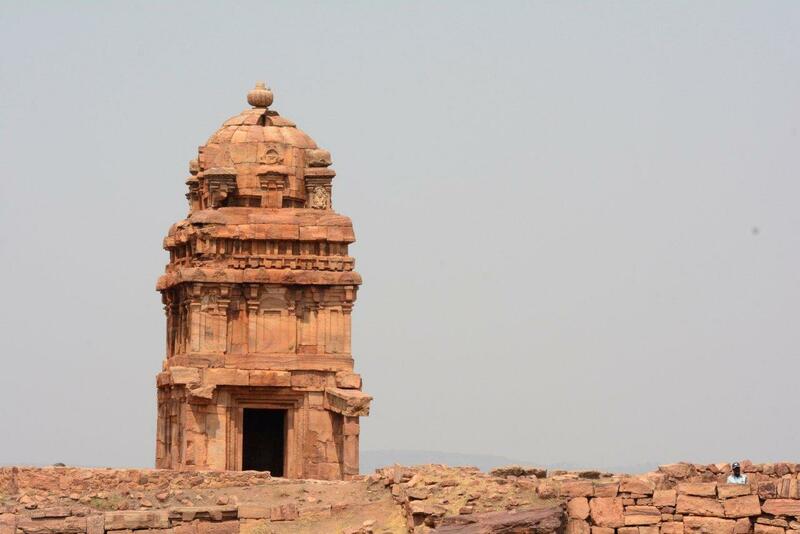 Although in many respects these structures repeat the architecture of similar Indian cave temples created before, there is noticeable also a development of distinct style in architecture and art – Chalukyan style. 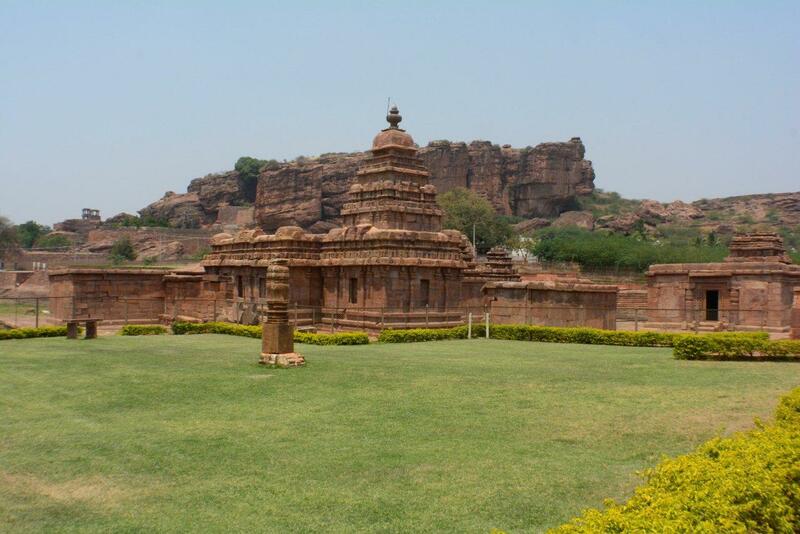 Art of Badami shows influence both of South Indian styles (Dravidian style) and northern influences (Indo-Aryan Nagara style). 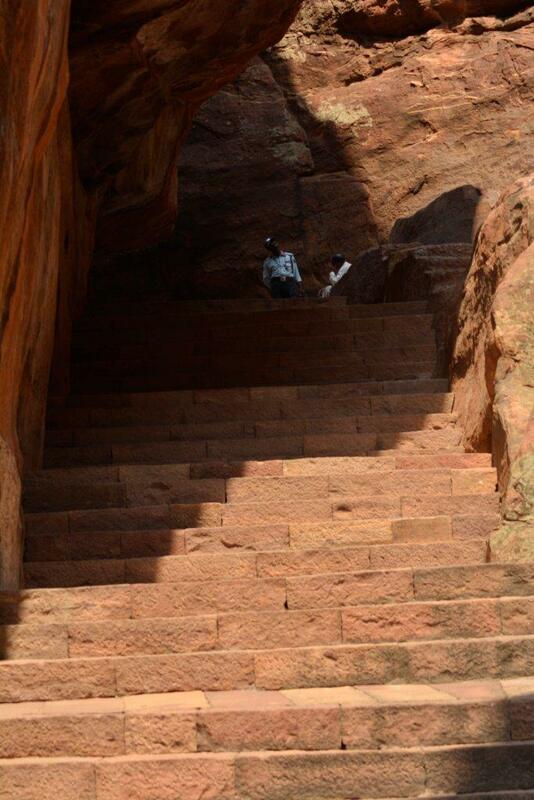 Badami Cave Temples have simple exterior but their interiors have very ornate finishing. 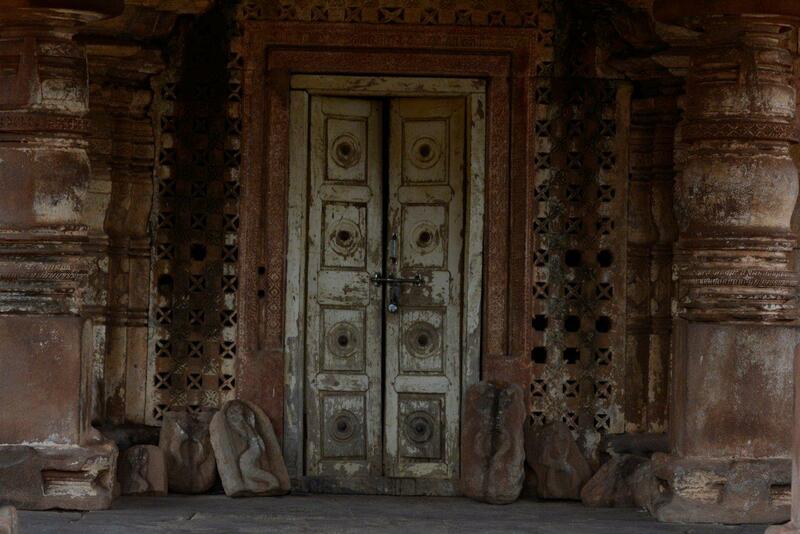 Entrance leads through a pillared verandah – mukha mandapa, pillars have square form in section. Three caves are adorned with a lavish frieze below the columns. 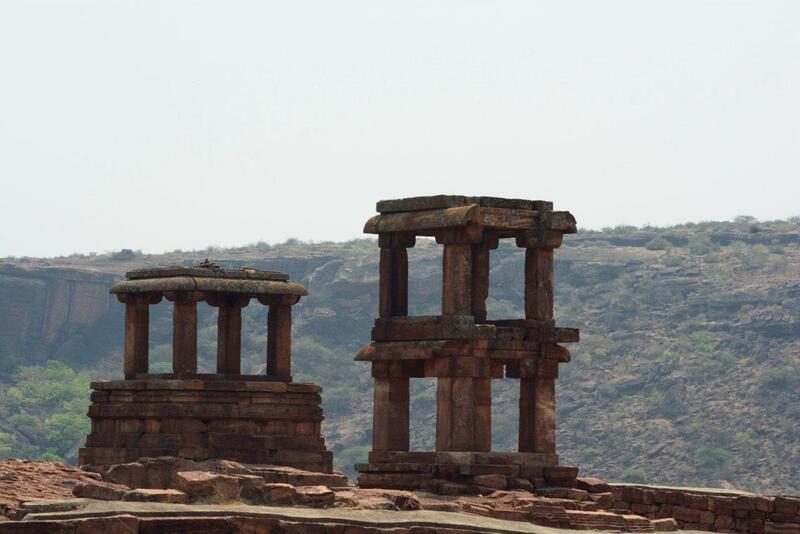 The main hall of each temple – maha mandapa – is standing on massive columns. Furthest part of the temple behind the main hall is the shrine – cella or garbhagrha. 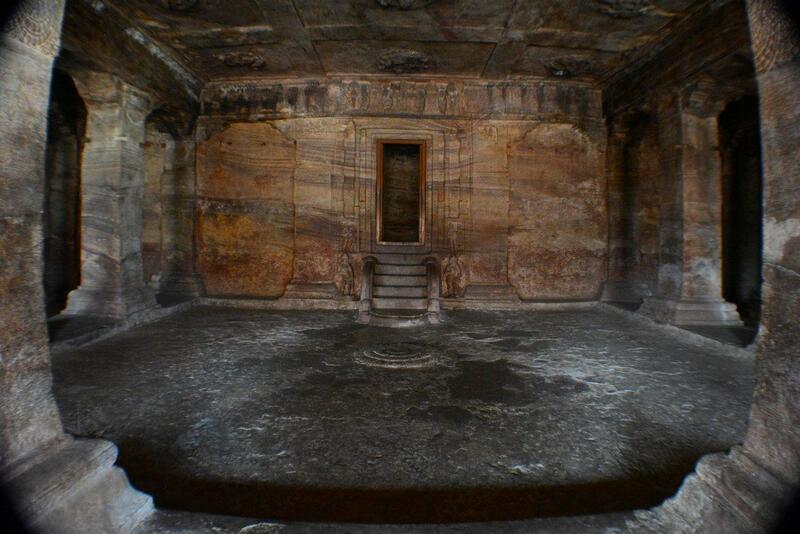 Most likely caves were covered with exciting murals – only traces of this former beauty remain. 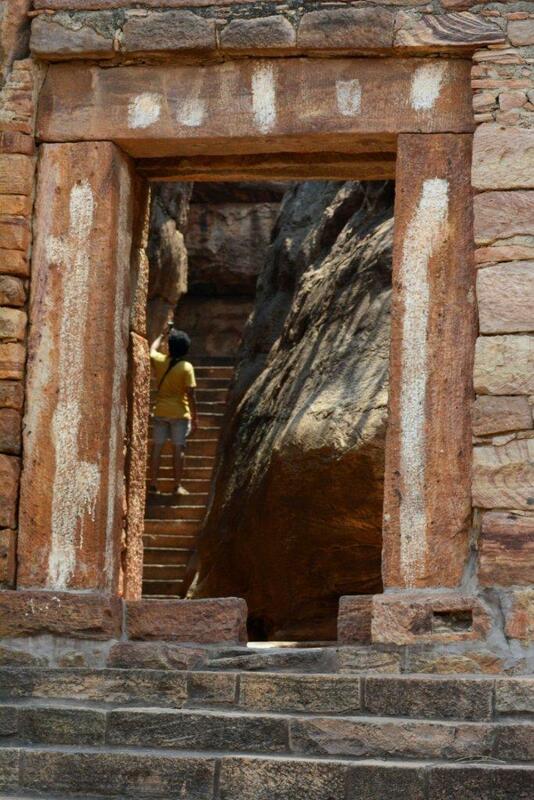 Important feature of Badami Caves and their surroundings is ancient inscriptions in Kannada writing and in Kannada and Sanskrit languages. 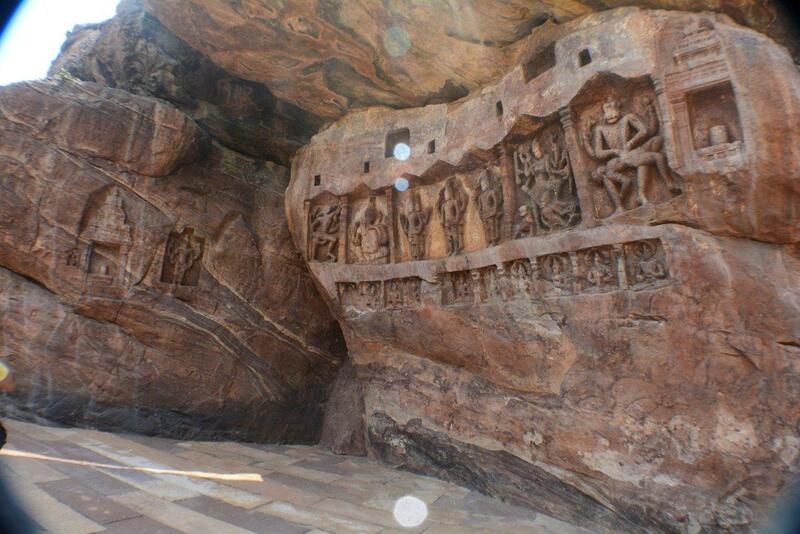 In total in Badami there have been found 18 cliff inscriptions. The oldest is from 543 AD. 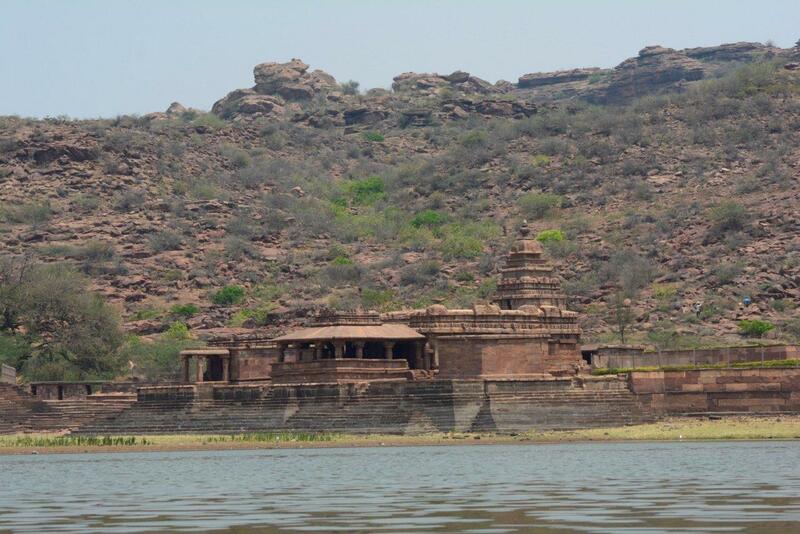 One of the most important inscriptions is made in 700 AD at the northeast end of reservoir. It consists of ten lines in Kannada writing, both in Kannada and Sanskrit languages. This inscription is not completely clearly translated but it is clear that it goes about Kappe Arahatta, local saint and heroe. 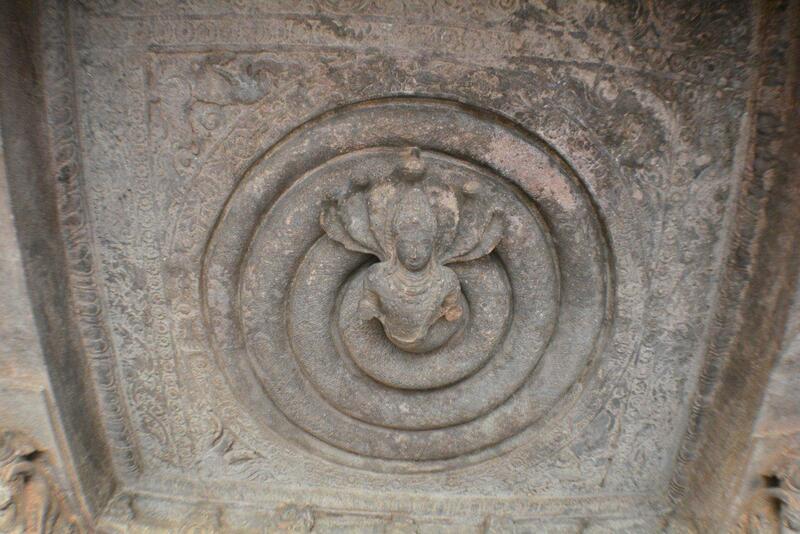 Under the inscription there is nice carving of ten leaved lotus in circle. 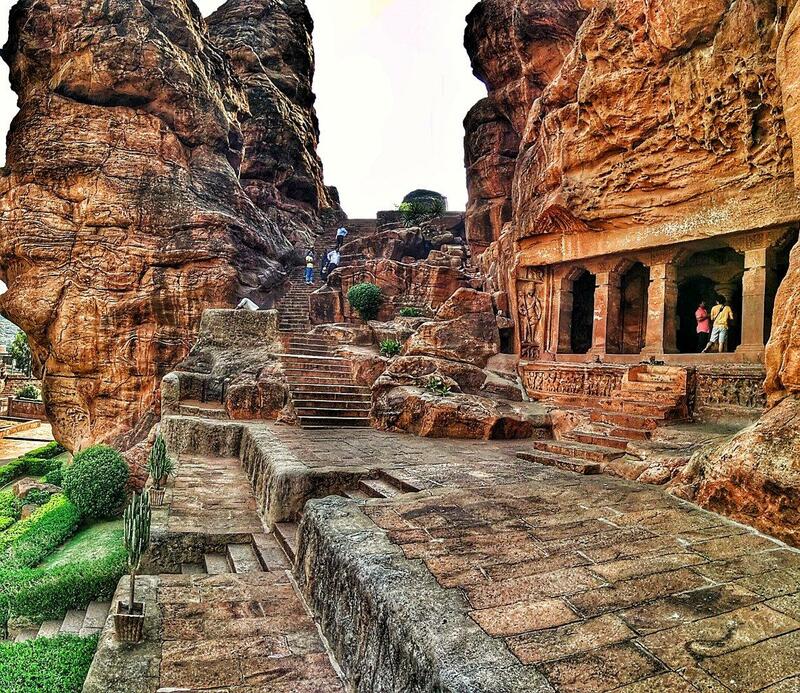 There exists also the fifth cave in Badami – natural cave used as a Buddhist temple. It can be entered only on all fours. 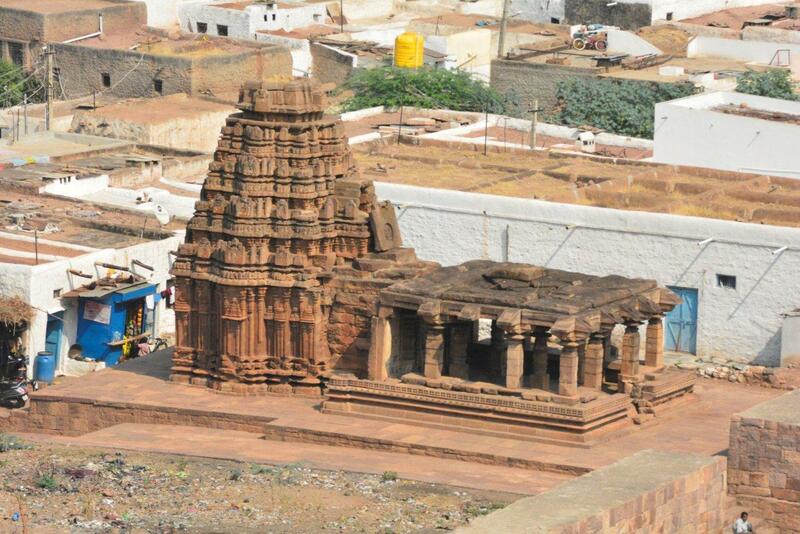 Area contains also many other temples. 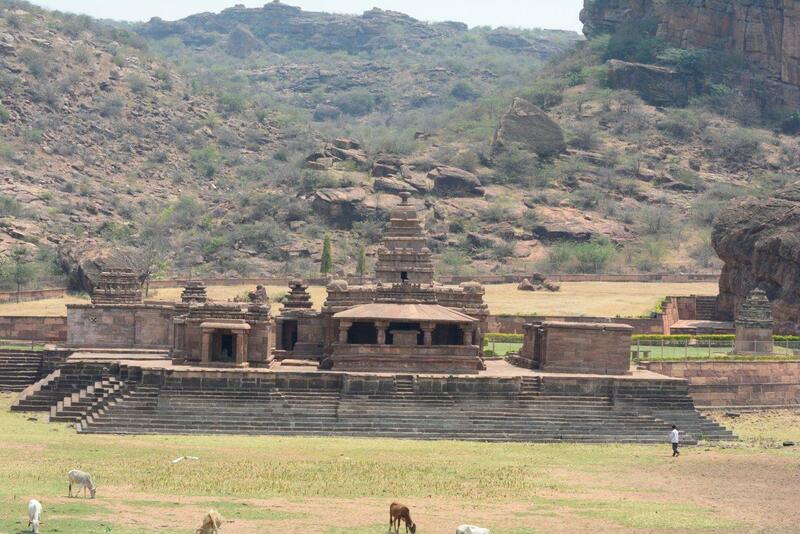 The largest and most renowned cave temple in Badami most likely is created in 578 – 580 AD. 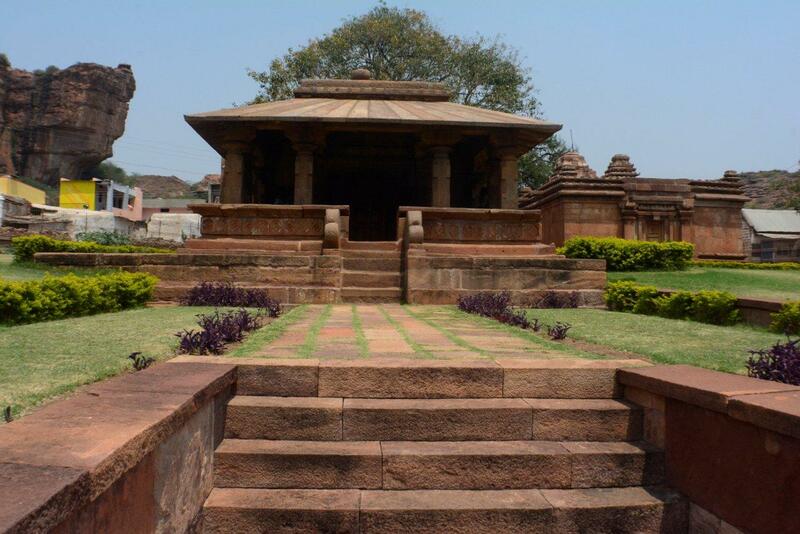 Cave contains inscription by later Chalukya king Mangalesa in Kannada – he organised excavation of this Vaishnava temple. 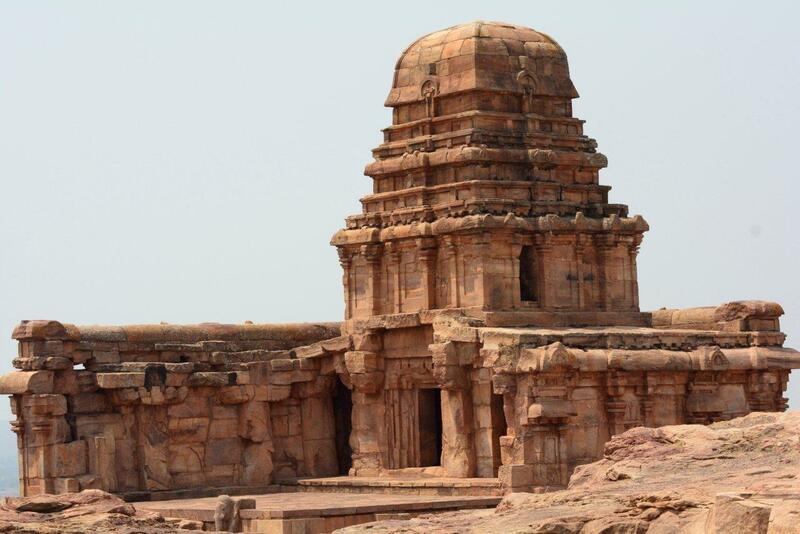 Inscription has been made in 578 AD, Mangalesa became a king in 597 and ruled until 609 AD. 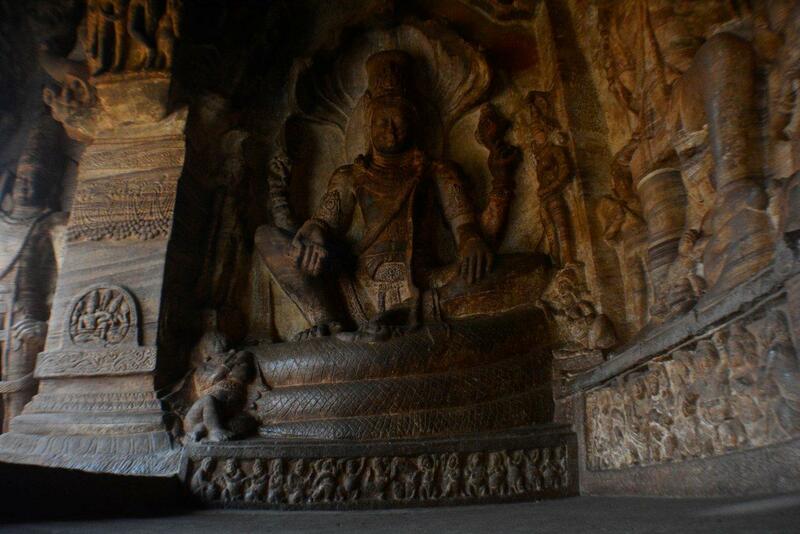 It is common that Indian cave temples were patronised by influential members of royal families. 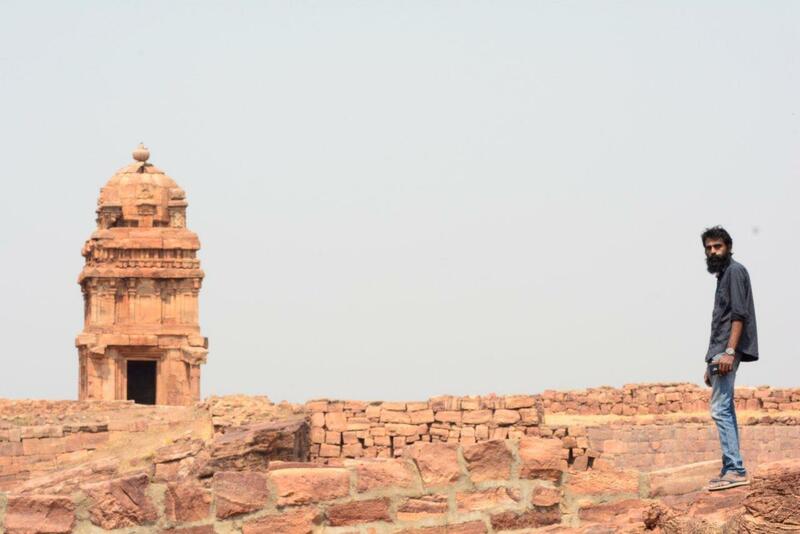 Rock-cut temple has north – south orientation. Main hall together with verandah goes up to 14.5 m deep into the mountain, shrine makes the cave for some 4 m deeper. Height of the main hall is approximately 4.5 m.
Cave is reached by climbing 60 steps from the Cave 2. Facade of the temple is approximately 21 m wide and is adorned with a row of six massive columns. Below the columns there is a friese consisting of 30 smaller reliefs of ganas. 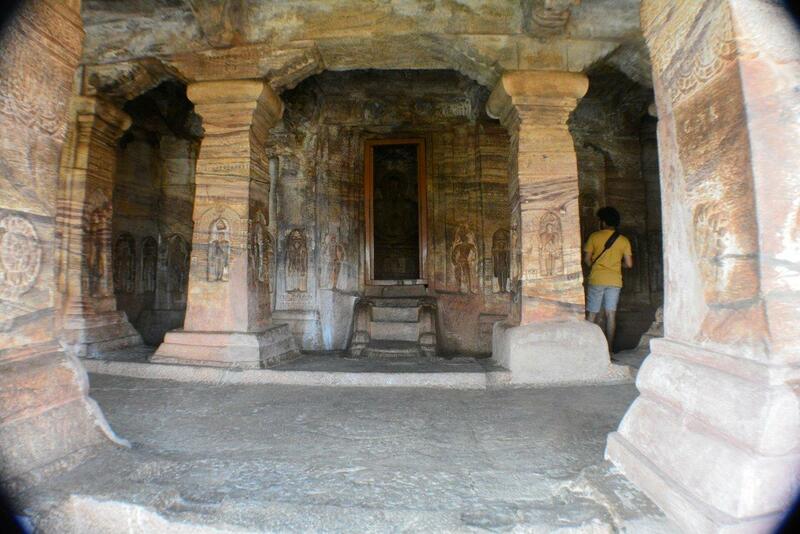 Whole cave is covered with magnificent adornments, including paintings on ceiling. 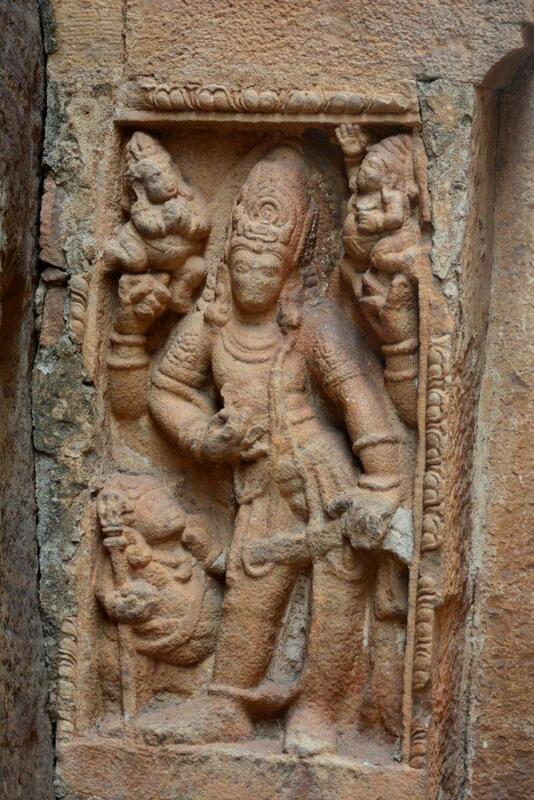 Centrepiece of these murals is four-armed Brahma on his swan. On the floor below the mural of Brahma there is a lotus medallion – place where offerings were laid. 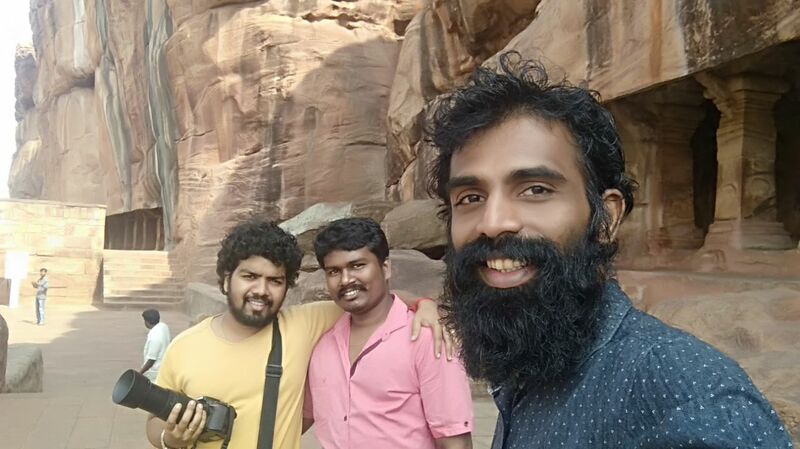 ഈ ടീമിൽ ഉണ്ടായത് ഞങ്ങൾ മൂന്ന് പേരും ആണേ !